You’re not imagining things, the car in the photo above is an HJ Holden Premier with a Mazda badge and Japanese fender-mounted wing mirrors. But what was a big Holden doing in small car-friendly and import-hostile Japan? In the early 1970s, Japanese car makers were well known in the west for small cars, 4x4s and the odd sports car. But they were also producing large luxury sedans for their home market. These cars were about as long as a large Australian or compact American sedan, but considerably narrower. Cars like the Toyota Crown, Nissan Cedric, Mitsubishi Debonair were popular with Japanese executives and provided a halo-effect for their respective brands. Heavy government protectionism had kept the European competition out and created a lucrative market for local manufacturers. That didn’t stop Isuzu from importing the Holden Statesman DeVille, the biggest car Holden offered. GM had been working on a two-rotor engine for the Vega and a quad-rotor, mid-engined Corvette. But they were struggling to produce a Wankel engine low enough emissions and fuel consumption to compete with their own conventional piston engines. They also needed design refinement and manufacturing technology owned by Mazda. GM approached Mazda and began negotiations to acquire their rotary technology. In return for the rotary, Mazda wanted a large sedan to go up against the Crown, Mitsubishi Debonair and Nissan President. As very much the minnow of the Japanese car industry in the 1970s, even in Japan, they didn’t have the ability to produce such a car themselves. GM told Mazda they already had the car they needed, the HJ Holden Premier. The Premier was essentially the only thing GM could offer. Its preference was to offer up something as-is, without any modifications, ruling out the left-hand drive Opel Commodore and too short Holden Torana. The Holden Premier was the only right-hand drive car large enough for Mazda’s needs. Holden would supply mostly complete Premiers to Mazda via Isuzu without engines. Mazda would install its 13B rotary, paint the bodies and finish off the interior. The rotary was paired with a Holden three-speed automatic and the rear axle from a Kingswood One Tonner cab chassis. 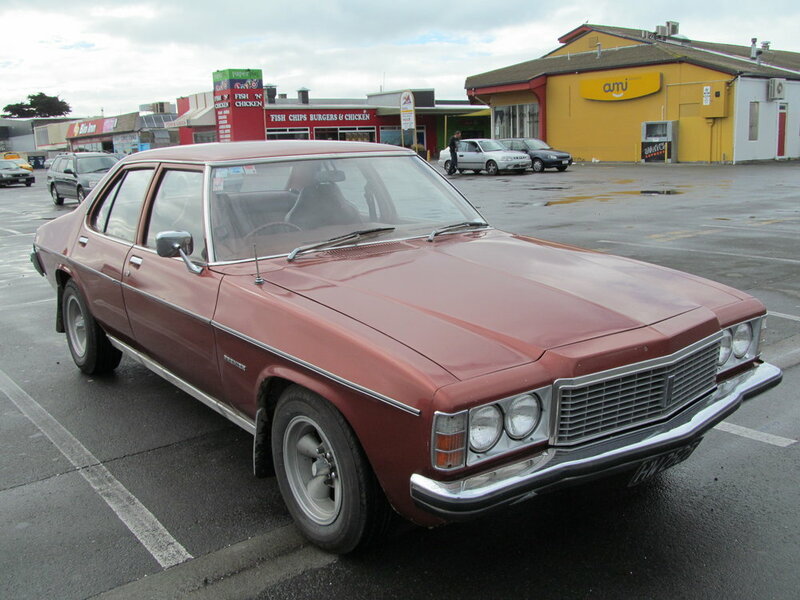 The rear suspension in the Roadpacer was stiffer than the Premier’s, to help the big Holden cope with narrow, windy, Japanese roads. Suspension tuning was undertaken by Takao Kijima, who would later be responsible for the suspension design of the Le Mans-winning 787B. Aside from the Mazda badges and fender-mounted mirrors, the Roadpacer AP looked exactly the same as a Premier. To lure the business executives and government ministers it was targeting, Mazda threw everything they could at the Roadpacer. On top of the Premier’s already generous equipment list, the Roadpacer had writing tables, a dictaphone, drinks fridge, brocade seat fabric, and a remote boot opener. All of this would set you back ¥3.8 million. Twice the price of the next 1975 Mazda. Roadpacer buyers would also get unrivalled interior space. As one of the widest cars you could buy in Japan, the Roadpacer offered more space than any JDM sedan available. The Roadpacer was 4,760mm long and 1,880mm wide. A Toyota Crown was almost exactly the same length but only 1,690mm wide. It was the same story with the Nissan Cedric and Mitsubishi Debonair. The fact that those three cars were all 1,690mm wide was no coincidence. That was as wide as a car could be without attracting Japan’s wide car tax. This tax existed mostly to keep western cars like the Roadpacer out of Japan. Width wasn’t the main problem, however. With the Roadpacer, Mazda would learn that the rotary was better suited to sports cars and not really up to the task of shifting a 1,575kg sedan. The Roadpacer’s 100kW power output was about the same as the Holden 3.3 litre straight six, but torque dropped from 263Nm to 138Nm. Making matters worse was that peak power didn’t arrive until 6,000rpm, and peak torque occurred at 4,000rpm. The gearbox well out of its comfort zone. The Holden engine hit peak torque at just 2,000rpm. Sluggish would be a generous description of the Roadpacer’s performance. The official fuel consumption claim was 11.7L/100km (24 mpg). The reality was a horrendous 28.2L/100km (10 mpg). The V8 version of the Premier used less. Mazda had essentially gone to great expense to make the car thirstier without being any faster. Someone must have known that it wouldn’t work.Mazda was either unfamiliar with the performance of the Holden six, or desperate to use its own engine. The AP either stood for absolute performance, advanced powertrain or anti-pollution. Considering the Roadpacer’s dismal performance and fuel economy, none of these make any sense. Only 840 Roadpacers were built over a two year period before slow sale and the oil crisis brought production to a halt, a significantly smaller number than anticipated. Most of them went to Mazda and Sumitomo executives. Sumitomo owned Mazda at the time. The Japanese government also bought a few of them. Many of them were crushed, making the Roadpacer even rarer today. Some of those that survived have made their way back fo Australia. Shortly after, GM gave up on any rotary plans and Mazda conceded that the rotary is best reserved for sports cars. The cost of the rotary program had left Mazda bankrupt. The Japanese department of industry was unable to bail them out, so Mazda was forced to reluctantly enter negotiations with Ford, who bought 25 percent of their shares. Ford’s ownership of Mazda ruled out any further collaboration with GM. 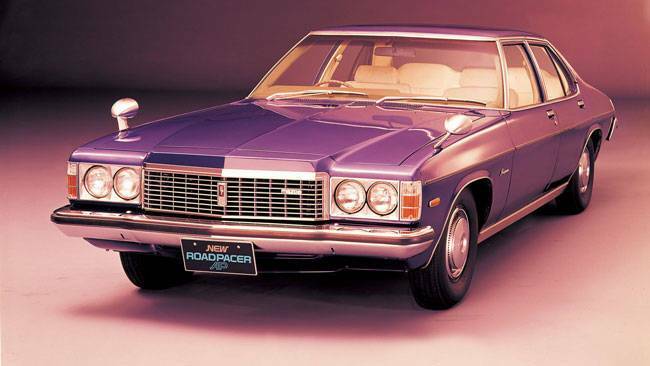 The Roadpacer is the only GM car ever to use a rotary engine. Unbelievably, the Roadpacer was not the largest vehicle to use a Mazda 13B. The 3.2 tonne,13 seater Parkway Super Deluxe bus shared exactly the same 100kW/138Nm engine.